When the Punch Rare Corojo entered the cigar marketplace I could not get enough of them. I wound up going through boxes of the rothschild faster than my local cigar shop could keep them in stock. Sadly, between the time that they were released for the first time, and the 2nd years release something changed in the cigar. Rumour on the cigar boards called the cigar out for not being corojo. Regardless, I still found myself smoking these on a regular basis though they weren’t what they once were. Appearance and Construction: The Punch Rare Corojo 10th Anniversary features a Corojo wrapper that has the color of a brown paper bag. 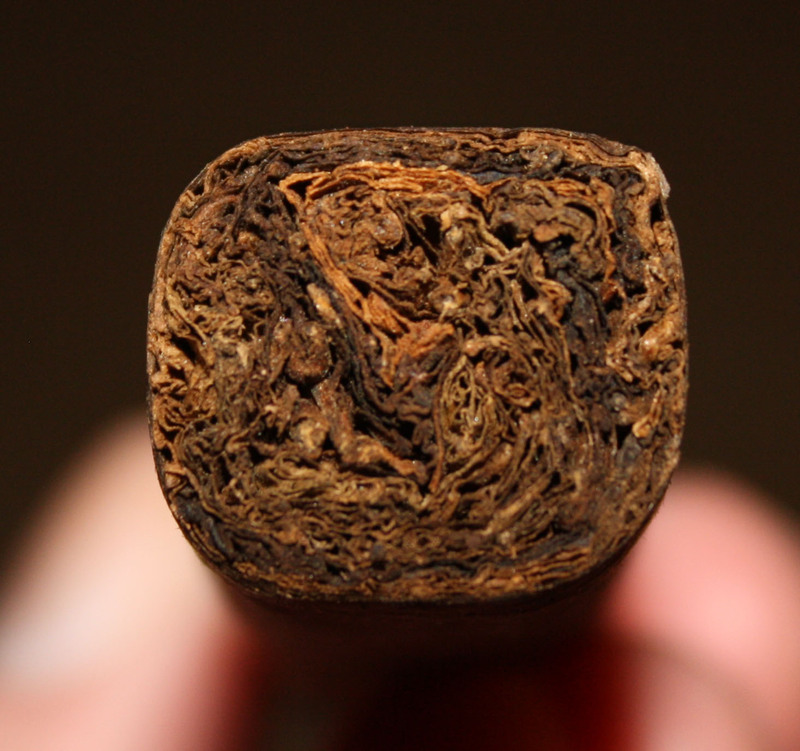 The cigar is box pressed, and there are no major veins visible to the naked eye. The roll of the cigar won’t win any awards, but it isn’t so bad except near the cap where there are numerous creases in the wrapper. Some extra care will be needed in clipping this cigar so that it doesn’t tear or unravel. 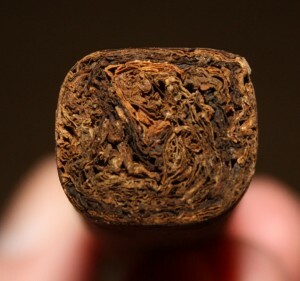 In the hand there are no soft spots but the cigar does feel to be unbalanced with more weight toward the front end. The foot of the cigar reveals a well packed smoke. Flavor & Notes: The pre-light draw serves up some notes of bread, earth and the slightest hint of spices. The foot of the cigar is yeasty and has notes of faint cedar. As I smoked the first third I wish I had a nice yeasty beer to compliment the bread notes that were mixed with some cedar and spice. In the background a sweetness lurked waiting to pounce out at what I hoped would be any moment. As we enter the second third the sweetness develops into a butterscotch that along with some creamy vanilla notes come and go. There is some spice present as well but it never overpowers and is subtle even through the nose. The final third had a wisp of that vanilla note but the primary focal here is cedar and leather with a nice creamy finish that is neither long, nor short. Smoking Characteristics: A slow burning robust cigar, the Punch Rare Corojo 10th Anniversary burns true on all of my samples from start to finish. The dark color ash only held for about 1/2″ to 3/4″ at a time and a few times I wound up with it in my lap. The burn line was crisp, and the draw iconic. The cigar produced an adequate amount of smoke with a nice classic aroma. Conclusion: Age. It’s all about aging. When these first came in the mail Walt White from Stogie Review and I did a joint review on Twitter right out of the mailbox. Neither of us was impressed and David Jones from The Tiki Bar Online, chimed in that he too felt the same way. Well, now a week later after sitting in my humidor the change was significant. While the cigar won’t “floor” you with greatness, it is a really good smoke that does not disappoint. Interesting review, like how you got into how the 2nd round was different than the 1st round. I haven't had a Punch in a while, will have to check this one out. I too smoked one of these "off the truck" and it was OK. The next one, after only a few days in the humidor, was a bit better. I'll try another in a few months. I suspect after a year or two these may be really nice. Nice review. I have to go try this cigar ASAP!